Take a look at this description of buying rounds in British pubs. It seems like a pretty good description of how our Pub Night buys rounds, even though we didn't set out to pretend to be English. 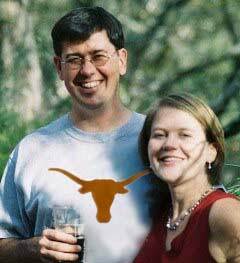 Heck, that's how we did in Austin, as far as I remember, even back in pitchers-of-Shiner-Bock days. Doesn't everyone do this? By the way, I'm keenly interested in the pub in question, the Brewer's Union Local 180, which opened this year in Oakridge. Their angle: the only Real Ale brewpub -- in the CAMRA sense of "Real Ale" -- in Oregon. I'm not likely to be a frequent visitor, since it's not within walking distance of my house, but I like the attitude. Here's a nice writeup by Angelo. Anyone else get a chance to try the Local yet? I'll have to try the Union next time I'm there, just to say I've been to "Slightly Bemused Hour." That's as cool as "Happy Minutes." Lee: the owner has a great sense of humor, like setting up the web page to ask if you're 21, but letting you in either way. Or getting the state to put up blue highway signs pointing to "Brewers Union Local 108". I'll be up in Portland from the 11th to 13th doing "research"; then after that it's your round. Cool, you're coming to Portland, are you bringing ale with you? Drop me a line, let me know where your research activities will take place.